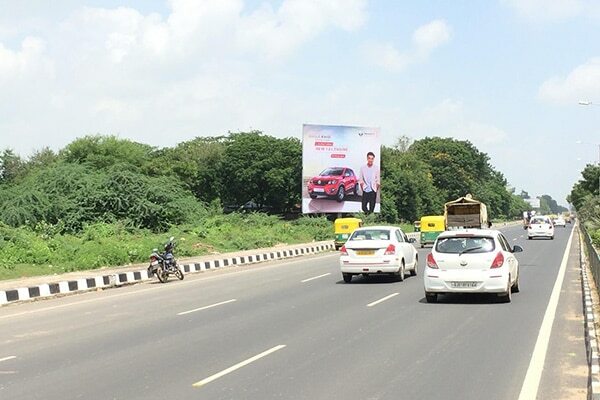 Highways are perceived to be the busiest place with the highest volume of the consumers, and hence is the best location to broadcast your advertising to every class of consumers. However, finding the right location and sanctioned by government bodies is the bothering and time-consuming task that one needs to undergo while doing everything yourself, whereas availing our billboard advertising on the Gujarat highways service eliminates all that formality and ensures the best servicing and leveraging. We have an extensive series of billboards in variegated size & shape to match your need, whilst a well-versed team of professionals counsel you the right location to grab the relevant audience for your brand. In addition to the best location, high-resolution printings teaming with the best color combination assist in a grappling highest number of consumers passing through highways, which is what we offer for the highest return on investment and is one of the reasons our clientele experiencing flourishing success by availing our billboards on Gujarat highway service.